Who: When the sun goes down, the permit specialist behind some of LA's trademark landmarks like Lemonade, Sprinkles and Hotel Erwin transforms into a professional salsa dancer. Eddie “Fast Eddie” Navarette learned the art of salsa in Colombia, claimed the premier spot in his first international competition and has been taking the salsa scene by storm in Los Angeles ever since. We caught Fast Eddie off the dance floor and out of the office to talk about his favorite dance floors in LA. Eddie Navarette: El Floridita is an LA salsa institution, and I would lose all street cred if I didn't give it a shoutout. Aside from its known premonitions, I enjoy dancing at El Floridita because of its mindfulness to music. They pick great bands to play. Even though you have the typical salsero types in attendance, you feel comfortable just hanging out listening to music and having a drink. Monday nights at El Floridita are a big deal to the industry. Full disclosure: This may be one of the smallest dance floors in LA. Tread with caution and keep your moves tight. 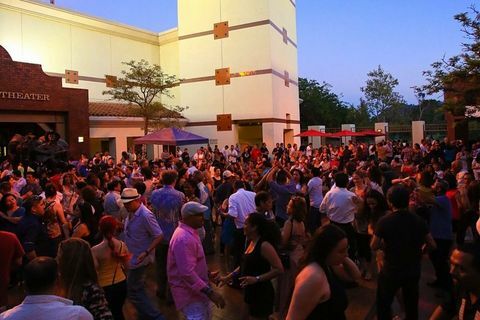 EN: La Descarga brings something different to the table because it isn’t considered a destination for salsa dancers. It’s a place where you can enjoy the music, performers, drinks, and not have to worry about your friends who aren't the dancing types. Everybody wins. Tuesday is their big salsa dancing night. However, you will always have music and dance here no matter what night you come in. Note: There is no dance floor whatsoever. You will need to create your own space. EN: Caña is a well-designed Caribbean-themed rum bar and with that theme comes the lively Caribbean-inspired music. I like to come with salsa friends when I want to avoid the professional salsa scene. I can also enjoy some great cocktails here. My recommendation is to bring your own dance partner! EN: La Granada, in my opinion, has the best dance floor in Los Angeles County. It’s a great place for any dance level, whether you dance for fun or professionally. La Granada has live music and a separate dance floor upstairs for dance types other than Caribbean. It’s a great salsa dancer meet-up spot. EN: Steven’s is another salsa institution in LA. They offer classes and offer an array of events. You can always count on Steven’s for a fantastic time. 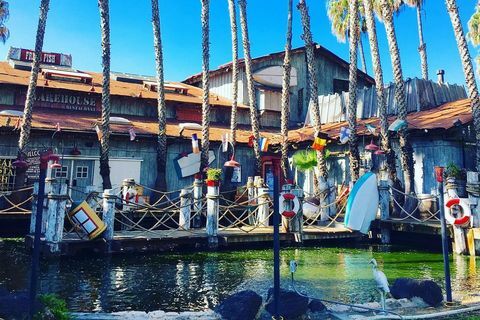 EN: The Warehouse, in Marina Del Rey, is a popular Westside salsa hot spot. The floor is decent, the music is always solid, and the place is consistently packed. Forewarning: They only have dancing on Friday nights. EN: Ix Tapa in Pasadena is where I frequented went when I was first getting started in the salsa scene. It’s my recommendation for salsa beginners. "Tropical Tuesdays" are perfect for beginners, especially because they're hosted by a Latin dance pro. Ix Tapa has been doing classes in LA for a long time and my favorite aspect about their classes is that they have very fluid instructors for social dancing. Remember, it isn’t just about the steps. Find your hips! Prepare to look foolish at first. Smile and learn to laugh at yourself. EN: This is a really special place to dance for me. The museum has seasonal live music, dancing in the courtyard and an amazing open patio that is very family friendly. It’s perfect for anyone — dancers of all levels come here. 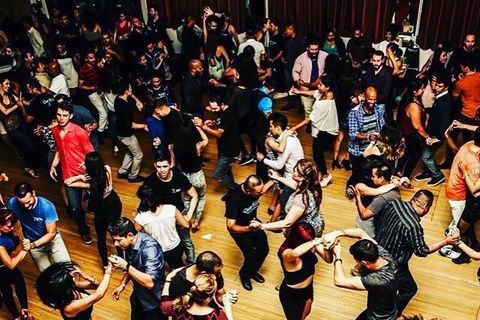 Fans feast on Cuban fare & then groove to live Latin tunes at this festive supper club. Spacious museum featuring exhibits with artwork & artifacts, plus a cafe & children's activities. 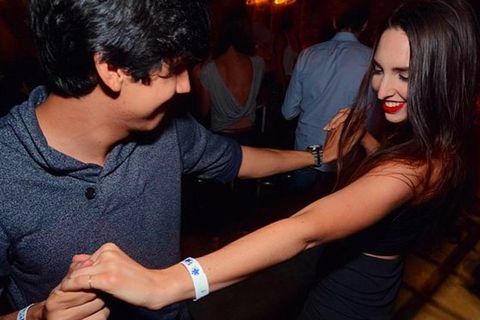 Nightclub has DJs & Latin bands, bottle service & tapas along with ballroom dancing nights. Retro veteran boasts traditional steakhouse staples, cozy booths & happy hour with free buffet. Long-standing eatery serving up American comfort food in a casual space with marina views. High-energy Mexican eatery & gathering place, including a bar with guest DJs & a dance floor.